Patient safety vs industry profit: will justice be done? In recent times there has been a raft of major medical scandals involving false and misleading evidence around the safety and effectiveness of certain drugs – evidence that has undoubtedly led to tens of thousands of unnecessary deaths. Individuals who have dared reveal the truth have been discredited, bullied, and fired, and it has been rare for any individuals complicit in the deceptive science to be called to account. But in an unprecedented case, the General Medical Council (GMC), the UK doctors’ registration body, is investigating influential Dr Richard Eastell in early November over the ghostwriting of a study of the drug Actonel conducted by Sheffield University for Procter and Gamble Pharmaceuticals . This case may well be the first time that a professional regulator of doctors has had to deal in public with a highly regarded doctor over whether doctors can and should be involved in fronting manipulated research for industry. But whether it will involve that, and whether it will be honest, remains to be seen. Eastell continues to enjoy celebrity status in the osteoporosis field, his name appearing on numerous industry pharmaceutical papers. 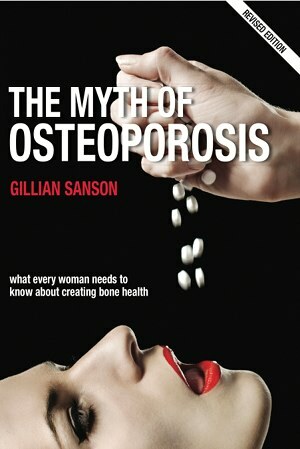 But Dr Blumsohn’s career as an osteoporosis authority and his position at the university are over because he refused the use of his name and exposed the truth. It may look as though justice is about to be done. But chances of the investigation pursuing the truth and restoring Dr Blumsohn¹s reputation are minimal. Eastell is a powerful academic with powerful friends, and the GMC will have its eye on the investment interests of the profession, and the usual business of research at medical schools desperate for cash and the personal wealth of the “key opinion leaders” who have led medicine and science along the path of prostitution. The involvement of doctors in helping companies to manipulate the pharmaceutical literature is the most important problem in medicine right now. Medical professional regulators like the GMC have failed to deal with the problem in any way despite their claims to uphold the welfare and interests of patients. If the GMC fails to deal with this justly, the widespread practice of ghostwriting and more importantly of blind academic fronting of company statistics will receive a huge boost from a government body that is supposed to protect patients. The huge implications it has for patients will continue, and more principled academics like Dr Blumsohn will suffer the same injustice if they are brave enough to let us, the pill taking public, know what happens behind closed doors. There will be few academics willing to raise problems in the future, and we will all be a little more unsafe. A sensation was created in osteoporosis research circles recently (Nov 26 2008) when a report published in Cell revealed that serotonin made by the gut appears to control bone formation. Osteoporosis authorities expressed surprised at the development which the investigators hail as a breakthrough that could lead to a new and very different treatment. The preliminary research was conducted on mice that were engineered to have human genes. Ninety-five percent of serotonin in the body is produced in the gut and only 5 percent in the brain. The discovery is linked to a gene called LRP5 which controls an enzyme that converts the amino acid tryptophan to serotonin in the gut. The new research indicates that high levels of gut serotonin inhibit bone growth, and lowered levels of serotonin make bone denser. The serotonin link to bone strength was identified in children with a rare condition of very weak bones and in people with extremely dense jaw bones. These conditions were found to be due to mutations of the gene LRP5 which in turn either impaired or increased bone formation. The projection from the discovery is that a drug may be created that reduces serotonin production in the gut thereby stimulating bone growth. It is with great sadness that I write of the death on Feb 27 of Barbara Seaman. Barbara was a fearless and prolific writer on women’s issues, probably most famous for challenging the cavalier use of powerful hormones to prevent pregnancy, assist conception, manage menopause, and ‘prevent’ age-related disease. One of the early feminist/activists of the women’s movement in the US, she has been a friend to many and a foe of industry when it has sought profit over safety for women. I had the great privilege of meeting and interviewing her in Manhattan in 2006. She has been incredibly kind to me in the few years that I have known her – connecting me with people in her network, giving me articles for my website and always supporting my work. I will miss her very much. Her friend and co-founder of the National Women’s Health Network Phyllis Chesler has written a moving eulogy and others have added comments. Read also an article from the LA Times on March 2. The biggest selling drugs of all time – anti-depressants — are only as effective as the placebos they were tested against. An analysis of data from 35 trials including some that had never seen the light of day, has shown that clinically the drugs Prozax, Paxil, Effexor and Serzone don’t work except in a subset of severely depressed patients. The pharmaceutical industry has been accused of withholding data that would have revealed the ineffectiveness of the medication long ago. Whether this shocking news will make a difference to prescribing patterns remains to be seen, but many are calling for the treatment of depression to include safer and effective modalities such as counseling.